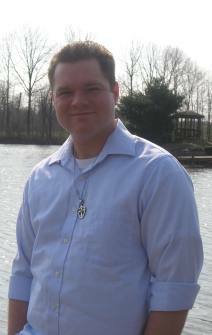 Andrew Buckner, along with acting in three Independent motion pictures, is the author of two full-length poetry books. They are The Human Condition and Song of Survival: Poetry in the key of Freedom. His children’s book Grand Poppa’s Favorite Chair and his dual autobiography Into Existence’s Immortal Flame have just been released. As a screenwriter, he has co-authored the horror work Whispers in the Darkness with Russell Stiver. Currently, he is working on his first novel. inside these pages are both timeless and triumphant. 47 pages. 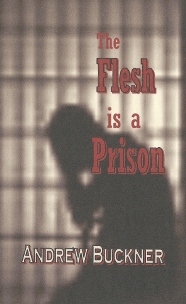 Are being honed to grief by self-possessed deeds! Forsaking the clone-like path they’ve beset! To rise! The truth screams ragingly within. Wishing wistfully! Come time, life unbarred! Self’s burial grounds! Cathedrals of rage! 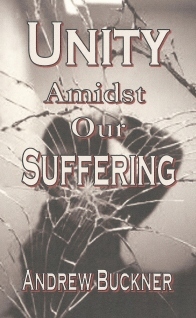 Unity Amidst Our Suffering is a powerfully charged two-volume chapbook set that divides themes according to their social or personal nature while retaining them as a set for the common thread of unity (as suggested in the title). Buckner’s delivery is straight from an impassioned poet’s heart, and akin in majesty to Handel’s Music for the Royal Fireworks. That is the state of the more providential individual’s utter indifference! And it’s happening there now! Is as real as you and I! Since I was birthed into this world so cruel? With the consuming plague of lost opportunity! Someday, a better man I shall be. 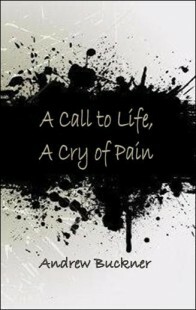 This chapbook takes lofty lyricism to the highest peaks of poetry! Passionate, eloquent, and magical in its delivery, it is a real treat for intellectuals and lovers of words that sing with meaning. Abounding every tormented limb of thee! The raging cannon’s sanguinary covetous! How forsaken the auspicious foregoing’s dissipated digress! To what end the fanciful omnipotence of our combat-bridled infinity?